After much controversy was caused at the opening of ‘Mist Lounge’, a Shisha bar in Hadleigh town centre, it has since mysteriously shut down pending an appeal. 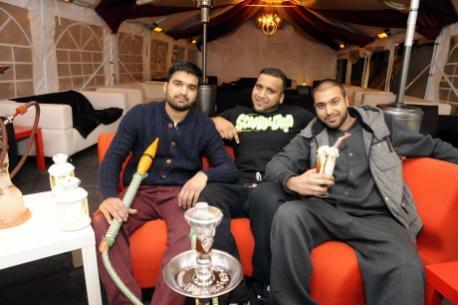 The pipe smoking marquee was set up in November, yet due to the owners refusing to get relevant planning permission, the Shisha bar has since closed. Since the Mist Lounge opened, it has faced severe scrutiny with investigations being carried out by the health, tax, planning and licensing department of Castle Point Council, as well as Essex Police. The Echo newspaper have also investigated the premises undercover followed alleged underage smoking. Mist Lounge owner, Mr Feroz Khan, was given strict instruction by Castle Point Council on January 23rd to remove the marquee and all associated fittings or face prosecution after being served 3 fixed penalty notices. The shisha bar was originally built to provide Shisha culture to Hadleigh, but many local residents have expressed their lack of interest upon opening.